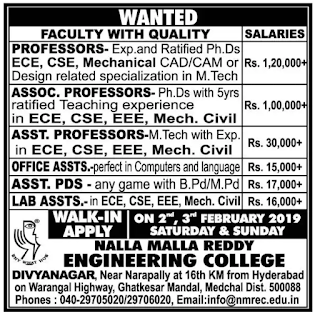 Nalla Malla Reddy Engineering College,Medchal has advertised for the recruitment of Teaching Faculty-Associate Professor,Assistant Professor,Professor,non teaching faculty jobs vacancies. Interested and eligible job aspirants are requested to walk-in 2nd,3rd February 2019. Check out further more details below. 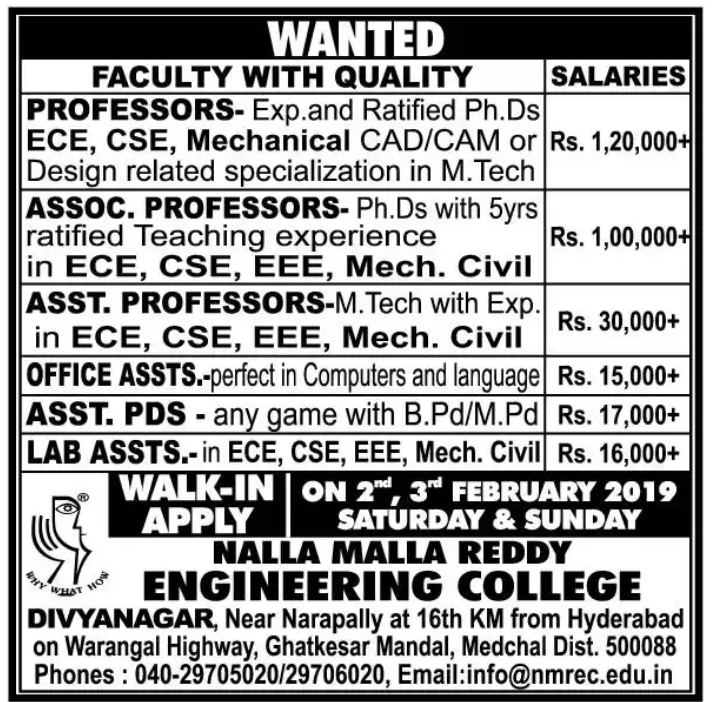 Name of the College: Nalla Malla Reddy Engineering College Medchal. First class M.Tech / B.Tech in the same branch with experience for Assistant Professors in Engineering. For Professor and Associate Professor, Ph.D with 5 years of experience and first class B.Tech & M.Tech is required. Walk-in Date:2nd and 3rd Feburary 2019.